Sixty days to go before Christmas. I can already feel the breeze of the holiday season. Some has already started shopping what's in the Christmas List. Aside from the gifts, greeting cards is also a nice way to share the holiday season. Either ready-made or personalized will surely make you connected with friends, family, and colleagues as well. Speaking of cards, MagnetStreet is giving 25% discount on all Christmas Cards. Just use the code LHOLIDAYS25 upon checkout. This offer runs until November 20, 2015 only. MagnetStreet offers 100% custom and quality guarantee because customer satisfaction is their ultimate goal. Browse MagnetStreet site and take a look on beautifully designed layouts. You can also modify the color with your own preference. You can add your personal greetings and photo of your choice. 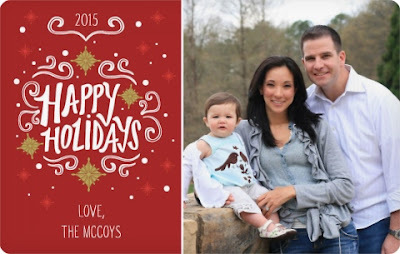 Having a unique photo and personal message make a perfect holiday greetings. Below are the different types of greeting cards offered in their site. Again, 25% discount is offered on all Christmas Cards until November 25, 2015. Folded Cards - Classic Greetings. Enduring look with many templates to choose from! 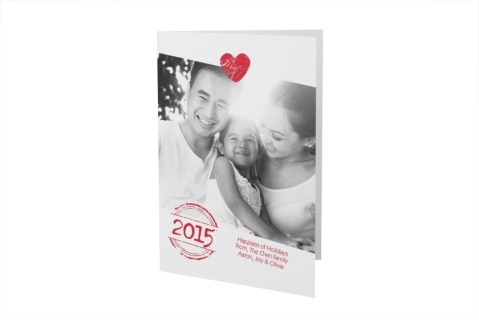 Custom-design from front to back, your photos will look amazing printed on any one of the 3 premium papers. Magnetic Cards - Unique Keepsake. Family and friends love this distinctive and long-lasting keepsake magnet. Your greetings stick on the fridge while your photo and sentiments remain in their hearts. Photocards - Contemporary Cheer. These classy cards are a terrific option for sharing a few of your favorite photo highlights from the year. Match the paper style to your festive design. Are giving greeting cards to your family and friends this Holiday Season?